Tehran is a city both forged and forgotten by modernity. The ever-present hum of traffic, the continuous movement of people, the breathing of heavy, combusted air. Not only the mobile vehicles, but solidified infrastructures, pavements, highway exits, footbridges and construction sites – as well as the human adaptations and appropriations of space around them – seem to find varied, intermixed, negotiated ways of co-existence. In the mixture, the Chaloos Road, an engineering triumph, a motorway carved through the mountains escaping out of Tehran to the Caspian Sea, turns into an umbilical extension of urban life. Extracted from the earth itself, bitumen is rolled everywhere as the surface for modernity, offered as crude cure for the city’s mobility. 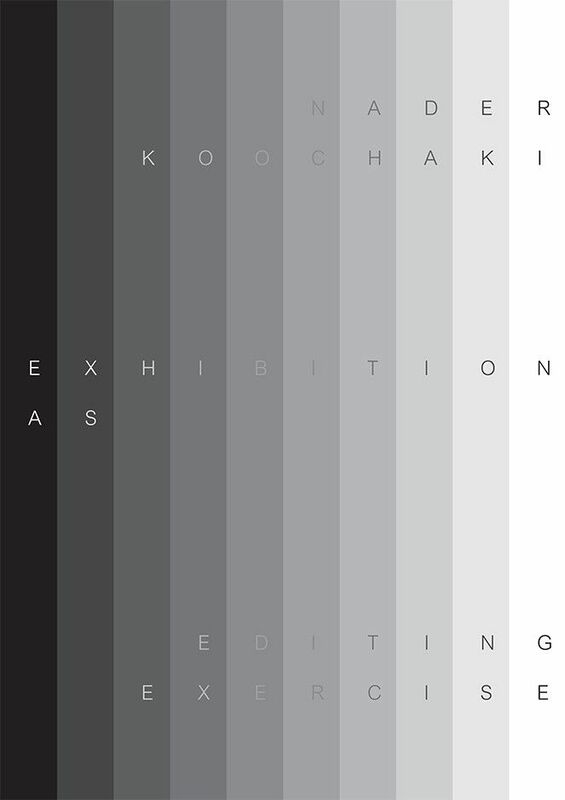 Exhibition as Editing Exercise by Nader Koochaki, is a special project created for the Magic of Persia Contemporary Art Prize (MOP CAP) 2015 winner’s exhibition. Constructed around a discussion with Iranian architect and urban planner Mohammed Reza Haeri, the project documents and brings to display the work-in-progress, the past and on-going accumulation of research for Nader Koochaki’s Asphalt Roll – charting the urban practices and contemporary movements of Tehran and its adjacent geographies. 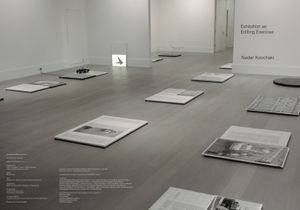 In this context, Exhibition as Editing Exercise studies and further speculates with an editorial process as a platform for artistic research and dissemination, where travels, events, discourses and observations presented as displays of photography, gathered objects and artefacts are shown in the process of entering and leaving the pages of a book, hovering between the representational space of the display and the peripheral space beyond the crop-marks. We are pleased to announce that MOPCAP 2015 Winner Nader Koochaki is currently completing his three-month residency at the Delfina Foundation in London, as part of his prize. 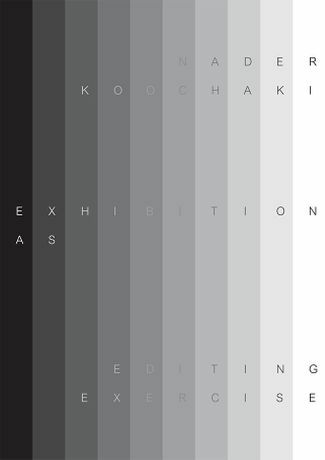 This unique opportunity that has been accompanied by a yearlong mentorship with curator, Mika Savela, will result in a solo exhibition at the Sophia Contemporary Gallery and a publication with a launch to be held at the Delfina Foundation.